The Photographer of Mauthausen (2018) – What's New on Netflix Canada Today! 1943. With the World War II in the maximum exchange of hostilities, life is too merciless and cruel for the inmates who live in the camp of Mauthausen, where between others they are the soldiers who fought and lost in the Spanish Civil War, exiled from Spain by General Franco after to won the war, considering them as no men’s land and gifted to Third Reich as free workforce. 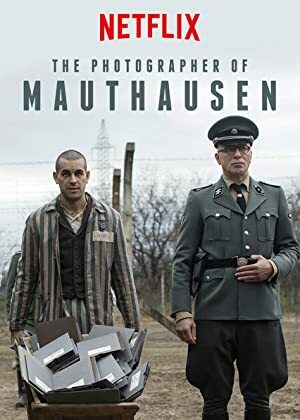 In this scenery of eternal horror and brutality caused by the Nazis and the Kapos (violent inmates who work as guards to keep the order), young Francesc Boix tries to survive in the camp working as photographer being Paul Ricken’s right-hand, Mauthausen’s warden. Boix’s daily life taking photos, talking with another inmates as Balbuena and Fonseca and making files of the dead inmates who died in failed escapes changes after to realize in an amateur radio created by them that the Third Reich have loss against Soviet Army in the Battle of Stalingrad. Fearing that Ricken and the rest of the Nazis make disappear all evidences of the happened in the prison in the case they can lost the war, Boix obsesses with to keep all negatives of the photos that they prove the horrors committed by SS officers as Franz Ziereis. But after a first failed attempt of an inmate to escape and publish the photos for that the public eye discover the truth, Boix makes a second plan to elude exhaustive Ricken and Ziereis watching and to keep safe and sound the photos. With time running out and the command to burn everything finally ordered, will can Boix to save the evidences sand and at the same time survive to tell the truth to the world?